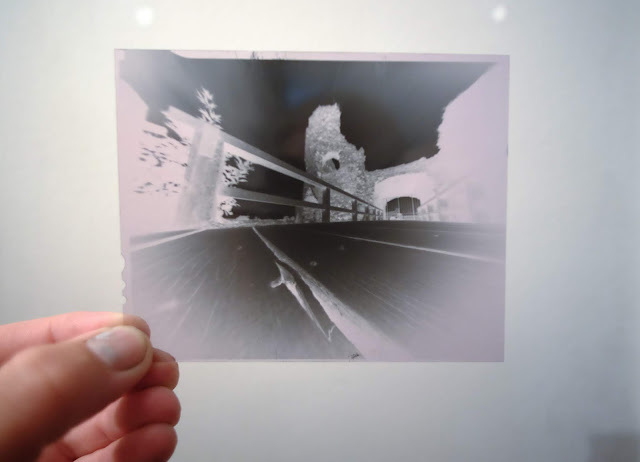 If you are considering trying out pinhole photography or getting a new pinhole camera. Heres is a list of 10 cameras worth looking at. ONDU Pinhole launched their range of pinhole camera in 2013 through a Kickstarter campaign, and released a MKII version in 2015. They are made on the sunny side of Alps, Slovenia and have a range of pinhole cameras from a small pocket 35mm to a giant 8x10. They are beautifully made out of Walnut and Maple wood and the backing plate and film winders are held on with Neodymium magnets and finished with two coats of solid hard oil to protect it from the natural elements. Zero Image pinhole cameras are wooden hand-made cameras made in Hong Kong since 1999, with a range of cameras from 35mm to 8x10. The cameras are made of selected high-quality teak wood and have around 15-20 layers of coating applied by hand to each camera, to insure maximum protection of the wood. They also do a Back to nature and back to basic series with environmentally friendly wax-oil finish and more affordable price. A range of "add-on" accessories can be included like a 52mm filter adapter, bubble level, cable release adaptor, brass edge protectors, brass exposure scale you can also get a hand engraved plate. 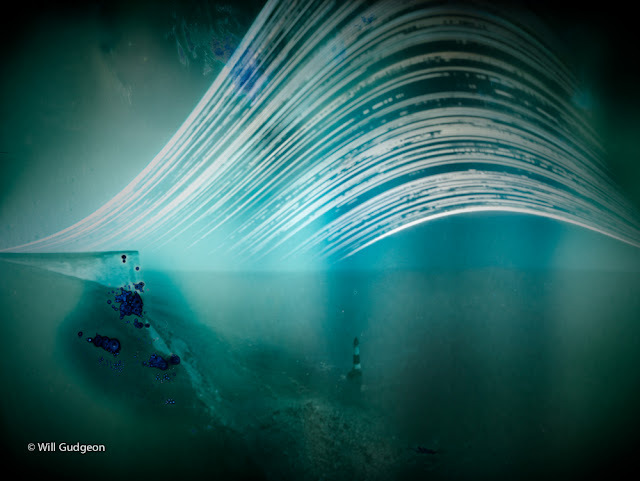 If you want to try solargraphy, extremely long exposures capturing the path of the sun over a period of 6 months, The Solarcan is a great place to start. This is a can with some light sensitive paper inside, all you have to do is set it somewhere safe and secure, peel open the shutter and leave it for as long as you want. To capture the best results set it up during the winter or summer solstice and leave it 6 months, open can with can opener and scan on a flat bed scanner, invert it from a negative to positive and see your stunning results. The Flights of Fancy Pinhole Photography Kit is a great place to start if wanting to try pinhole photography. It is the kit that started my own passion. The camera is a build your own kit using 6 MDF sides and a black card insert. This kit also come with some photographic paper and a developing kit, so you can build your camera, shoot some exposures and develop them all your self,. This kit also has everything you need to turn a negative image into a positive print, but you can just scan the negative and convert with your own software. There is also a 24-page booklet that has all the instructions needed along with load of information on the history of pinhole photography. Ilford offer 2 pinhole cameras, The Ilford Obscura Pinhole Camera and The Harman TITAN 4x5 Pinhole Camera. The Ilford Obscura is a 4x5 single shot pinhole camera with 87mm focal length giving wide angle images, chemically etched 0.35mm pinhole, tripod mounting socket and includes exposure calculator. The Obscura is precision cut and formed from expanded PVC made of two interlocking sections, the film/paper is loaded into the bottom section, and then held in place by sliding in the top section, which is locked into place with magnets. The Obscura also has a magnetic locking shutter on the front of the camera. The Titan 4x5” pinhole camera takes 4x5" film holders has a 72mm wide angle cone, chemically etched 0.35mm pinhole, tripod mounting socket and includes a exposure calculator. The Titan features a premium quality, finely engineered lightweight body made from injection moulded ABS and finished with a very durable non-slip coating. All fittings are made from stainless steel making it exceptionally durable and capable of withstanding extreme natural elements and rough handling. NOPO started early 2014 in Madrid and have a range of cameras covering 35mm 120 and 4x5. they are all made with walnut, cherry and birch Wood. The manual shutter inside the body of the camera is activated by a twirl of the whole “lens” which also has a 52 mm ring filter ring. Committed to the environment, NOPO uses certified wood in the construction of its cameras. One NOPO cameras means one tree gets planted somewhere in the world. RealitySoSubtle has a range of pinholes from 6x6, to 8x10. The 6x6 to 6x17 range is CNC machined from high impact polystyrene in a smooth matt finish. The 4x5 main body of the camera is made from 15mm thick solid oak with the sides joined neatly using double rabbet joints. The front face sits in a recess in the oak body and is made from a 4mm thick wood effect vinyl tile – durable and scratch resistant. The 8x10 also has a all wood body, outer in mahogany, inner in poplar ply. Satin varnished. 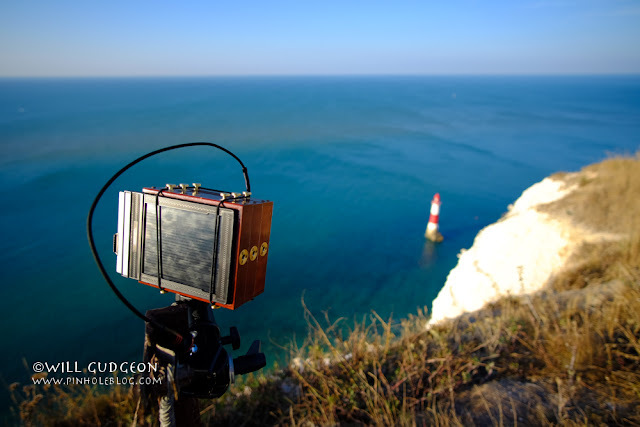 Most RealitySoSubtle pinhole cameras also have 2 pinholes and 2 shutters, if you want to have a straight (not curved) horizon in your photo then you need to have the camera level. Having the camera level and a pinhole in the centre would mean the horizon is dead center of every photo, which is fine..until its not, then you can open the lower or higher pinhole instead to change the composition without having to adjust the actually camera. A top idea by RealitySoSubtle. Noon pinhole are handmade cameras made in Poland. They currently offer 3 cameras, a 6x6, a multi-format 6x12 and a 4x5 camera. The cameras are made of Walnut wood and finished with beeswax mixed with tung oil. Each camera has a manually polished film channel, so that the film is not scratched. Each camera is limited edition has a standard 1/4" tripod-mounting thread, the cameras also come with a exposure table and authenticity certificate. VIDERE is a DIY easy to use, glue-free 35mm pinhole camera kit designed in London and screen printed by hand in Yorkshire. Just pop-out the pieces and follow the simple instructions to go from flat-pack kit to working camera within an hour. Also features a tripod thread as standard a re-loadable 35mm film canister, and precision laser-cut 0.2mm pinhole. Intrepid Camera Co make large format 4x5 cameras, the cameras are crafted from solid sheets of high quality Birch Plywood that is cut, sanded and weather proof in their workshop Brighton UK. The more structural components are made from Aluminium, the bellows are made on site, using Nylon ripstop for the outer layer and a super thin and light proof black fabric for the inner layer. Even though you will normally see Intrepid cameras with lenses, they are not sold with a lens, but they do sell a pinhole. If you are keen to get into 4x5 photography but cant quite afford a glass lens yet, the pinhole lens is a great place to start. Their pinhole attaches to the front of the camera and has a super smooth shutter. Optimum Focal length 140mm at f280, pinhole size 0.5mm.